1. Churchill A1 ET is thick made bull with a nice flat top. He is clean fronted with good feet and legs. 2. 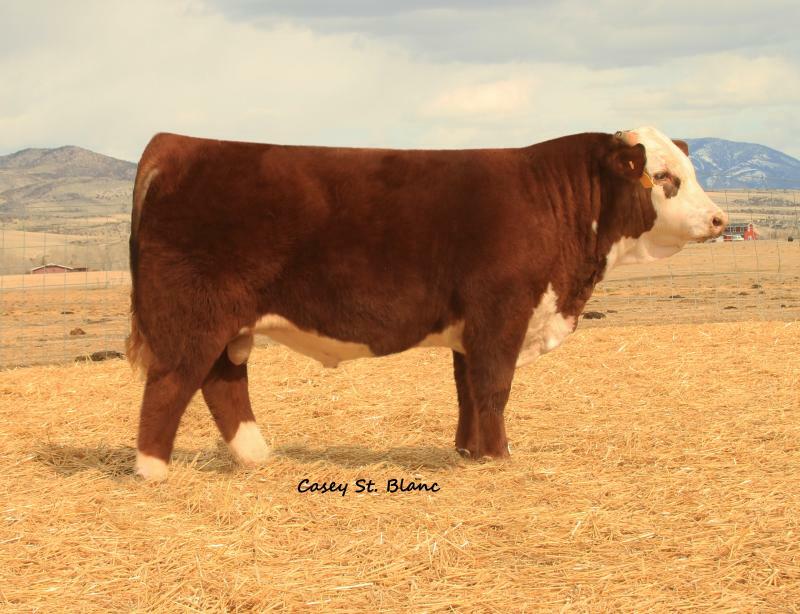 His first calf crop had an average birth ratio of 99 in the Churchill herd so if you are looking for calving ease look no further. Every calf born in the Churchill herd was born unassisted. 3. With daughters now in production, we now know they are moderate framed (5 to 5.5) with good milk. They are easy fleshing and calve easily. 4. He would work very well on commercial heifer projects and crossing would produce a great F1 cross.